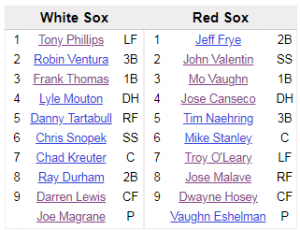 June 6, 1996, the Boston Red Sox played host to the Chicago White Sox at Fenway Park. The Red Sox had gotten off to a terrible start, starting the season 2-12. At least they had a winning record in May, but they were still just 22-34 on the season. The White Sox, on the other hand, were looking like a playoff team at 36-20. The White Sox had already taken the first two games of the series as Boston tried to avoid the sweep. The two teams took the field for a 7:05 start time that Thursday evening. The Red Sox sent former rule five pick, the left-handed Vaughn Eshelman to the mound. He was opposed by veteran lefty Joe Magrane, who has been seen in recent years on MLB Network. Magrane spent all of 1995 in the minors and had mostly pitched out of the bullpen earlier in the season. This would be his fifth start of the year, and his ERA was nearly 5.00. Eshelman was making his third start of the season and was 0-2 with a 12.71 ERA. A pitcher’s duel was not to be expected. Eshelman walked the leadoff hitter. After a single by Frank Thomas, Lyle Mouton, whose brother James also played in the Major Leagues, singled home Tony Phillips for the game’s first run. In the bottom half of the first, the Red Sox leadoff hitter (Jeff Frye) also walked. John Valentin hit the second pitch he saw just over the monster in left for a two-run homer and the Red Sox had the lead. Magrane then walked each of the next two batters before Tim Naehring hit into an inning ending triple play. The Red Sox wiped out some more baserunners in the second. After a leadoff single by Mike Stanley, Troy O’leary hit into a double play. This proved to be a killer after Jose Malave singled. Through two innings the Red Sox had three base hits and three walks but had hit into a double play and a triple play. However, they still led 2-1. 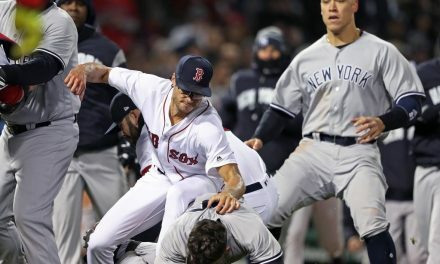 After the White Sox left two men on base in the top of the third, the Red Sox took the opportunity to enhance their lead. John Valentin batted second in the inning and hit a towering fly to center field. Darren Lewis, an excellent fielder, got back to the wall roughly 400 feet from home plate but couldn’t quite jump high enough to catch the fly ball. Valentin wound up on third base with a triple, giving him the two hardest legs of the cycle to complete. 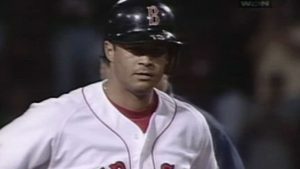 It looked like the Red Sox might strand another runner after Mo Vaughn struck out, but Jose Canseco came through with an RBI double to make it a 3-1 ballgame. The Red Sox added to the lead again in the fourth. Magrane set down the first two batters in the inning. 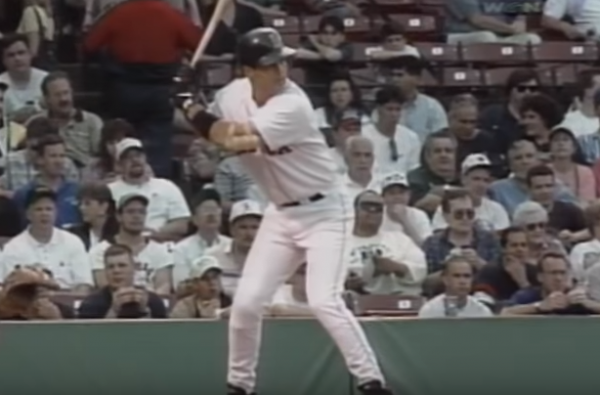 Dwayne Hosey, a key player for the Sox down the stretch in 1995, hit a two out double to give Boston a man in scoring position. Newcomer Jeff Frye, playing his first game with the Red Sox, then singled home Hosey. John Valentin, already batting for the third time singled to left to leave him just a double shy of the cycle in the fourth inning. It had been only two years since the Red Sox last cycle, when Scott Cooper hit for the cycle in Kansas City. The Red Sox got another run after Mo Vaughn doubled, and the game was 5-1 Red Sox after four. Darren Lewis just missed John Valentin’s deep fly ball to center in the third. Vaughn Eshelman put on three of the first four batters in the fifth inning. A single by Danny Tartabull scored a run and put men on the corner with one out. Eshelman was able to induce a double play ball from Chris Snopek though and protected a 5-2 lead after five innings. That would be the day for Eshelman, his best start of the season to that point, as he lowered his ghastly ERA to a still horrifying 9.92. Jamie Moyer replaced Eshelman for the sixth and promptly gave up a leadoff home run to backup catcher Chad Kreuter. Darren Lewis stole second after getting aboard with a single and was driven home by a Tony Phillips single. 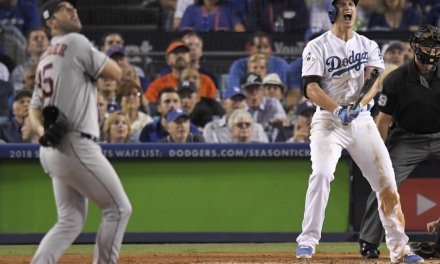 Moyer was getting batted around and the lead was down to 5-4. He was replaced after striking out Robin Ventura and the Red Sox escaped the inning with a one run lead. The Red Sox wasted no time in reestablishing their safe lead. Jose Malave led off the bottom half of the sixth inning with his second career home run. After two easy outs, Valentin got another crack at Magrane, having already homered, tripled and singled off the lefty. On the first pitch of the at-bat Valentin rocketed the ball down the left field line where it hit the outcropping of the door. Valentin jogged into second base with the double to complete the cycle. The crowd stood on their feet applauding his accomplishment with a standing ovation. Valentin acted like it was no big deal. John Valentin after completing the cycle. A Mo Vaughn single scored Valentin and chased Joe Magrane from the game. Magrane’s ERA was now 5.82, and it would only climb from there. He pitched again five days later against the Red Sox, faring better, but taking the loss. He then would make two more poor starts and never pitch again. As for the rest of this game, it was rather uneventful. 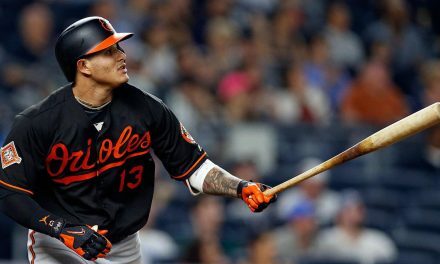 Neither team scored over the final three innings, and with the Red Sox in the lead after the top of the ninth, John Valentin never got another at-bat. He finished the day 4-4, hitting for the cycle and scoring three times. 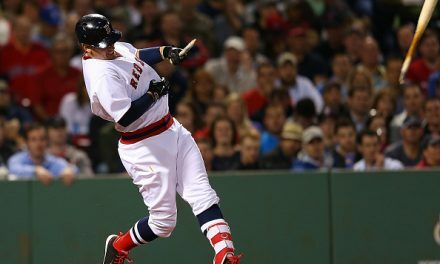 No Red Sox hit for the cycle again for nearly two decades, when Brock Holt finally accomplished the feat on June 16, 2015.